Kirby's Extra Epic Yarn is an impossibly cute adventure that looks and feels perfect on the Nintendo 3DS. There are far cuter things in the Nintendo universe than Kirby, and luckily we've gotten a heaping helping of the pink fuzzball over the years. But one of his most adorable outings happened to be on a console that's effectively dead. 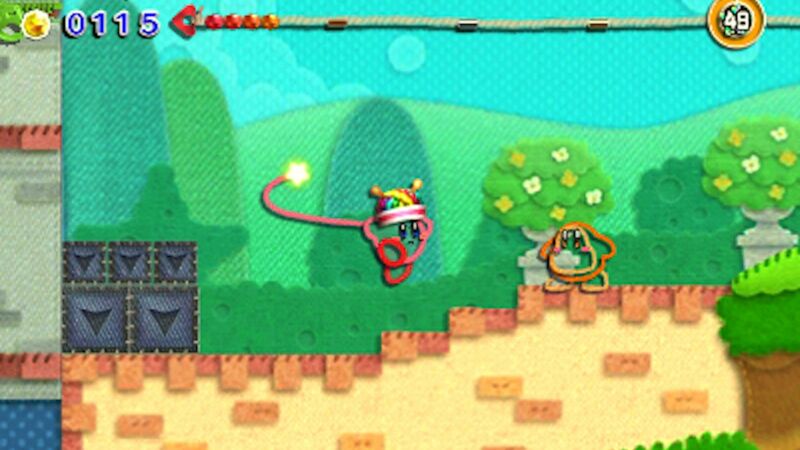 Kirby's Extra Epic Yarn is a 3DS port of one of the most heart-wrenchingly endearing Nintendo games ever made: the Wii's Kirby's Epic Yarn. It's the latest in a line of "craft-centric" games like Yoshi's Woolly World to find a home on the portable console. It comes packing a few extra features for anyone who missed out on it during its first run, but is it even worth embarking on? In a word, absolutely! Kirby's Extra Epic Yarn finds Kirby wandering around the idyllic world of Dream Land one day when he crosses paths with an evil wizard named Yin Yarn. In the blink of an eye, he's whisked away to Patch Land, a strange new world made entirely of fabric, felt, and yarn. 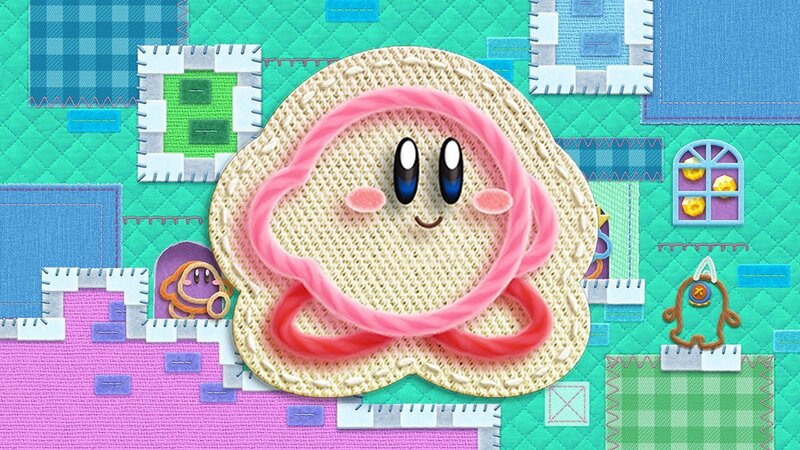 Kirby's turned into a simple yarn creation, and he can no longer use his copy powers. But there's one very cool new ability he has, thanks to a "Metamato" he finds in Dream Land: turning into all sorts of different things like vehicles, whips, and more. It's up to Kirby to rebuild Patch Land after it's split into various pieces, using his newfound yarn-centric powers. It's not a narrative to write home about, or anything, but Kirby games rarely are. It's still a sweet enough premise, though, and does its job well: moving the story along and giving you plenty of excuses to become cars and other cool stuff. Let's get one thing out of the way: This is an extremely simple game. It was lambasted when it first debuted on Wii because of how easy it was, but honestly, that may not bother you. Understand that despite the fact that it's pretty simplistic, it also is very fun – and most of all, relaxing. But for anyone who finds that it's too easy for them, there's a special mode in here just for you. We'll get to that later. The game is a perfect fit for the 3DS, and as such, on the go play. Despite the fact that the original game debuted 2010 (nearly ten years ago, which is crazy to think about) it still manages to feel fresh and modern. Most of your time is spent moving about the environment and taking out yarn enemies. Each area is made out of felt, quilt, and other yarn-based objects. Kirby can transform into a parachute while in the air to break his fall, a submarine when underwater, and even a missile-launching tank later on. These transformations are hilarious and impossibly cute, but most of all fun to pull off. 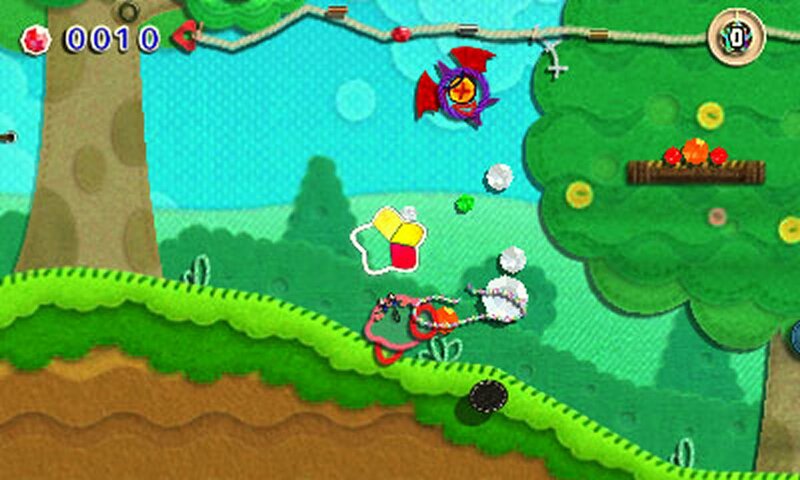 Stages are rife with collectibles, like craft beads you can hoover up as you make your way through. When you complete a level, you'll get a ranking on how many beads you found while playing. You also get a patch when you finish the level. This is placed on the map to unlock the next stage. If you beat a boss level with a gold rank, you can even get hidden patches, which open up secret levels when you reach the end of a world, so there's a lot you're able to see and do here. It's important to note that Kirby cannot die, but if you end up falling or being defeated by enemies, you'll lose some of your beads, and therefore will get a lesser ranking at the end. All you need to do to fix this is just play the level again, though. Remember what we said about challenge? this Kirby adventure has that going for it, too. Take on Devilish Mode for a heightened difficulty that'll improve the experience in significant ways if you find the base game too easy. It's unique to Kirby's Extra Epic Yarn, and adds another significant layer to Kirby's "epic" that's very much welcome. There's also a variety of special abilities found throughout the world that offer some pretty cool ways to tackle each levels, like swords and other cool props that ensure you can cut through areas like a hot Kirby knife through butter. There are also a few mini games with Meta Knight and King Dedede, both endless runners with four different stages apiece. These new tidbits are quite welcome, especially Devilish Mode, and add some much-needed replay value to an otherwise cute game that you can finish very quickly. One unfortunate gripe is that the game decided to skimp out on 3D visuals, when this is exactly the perfect kind of content that could have used it. Kirby as a yarn character would have made for an excellent 3D model, but the game still shines as-is. There's also no co-op, which the original Wii version had, where another person could play as Prince Fluff, your companion in Patch Land. It would have been appreciated, but it's understandable why it was cut. This review is based on a Nintendo 3DS download code provided by the publisher. Kirby's Extra Epic Yarn is available via retail and digital stores now. It has been rated E for Everyone by the ESRB. Awesome review. What a charming platformer! The real challenge of Kirby's Extra Epic Yarn is to 100% complete it. Long live the 3DS! Anyway, I think this game would also make a nice addition to the Switch's repository.